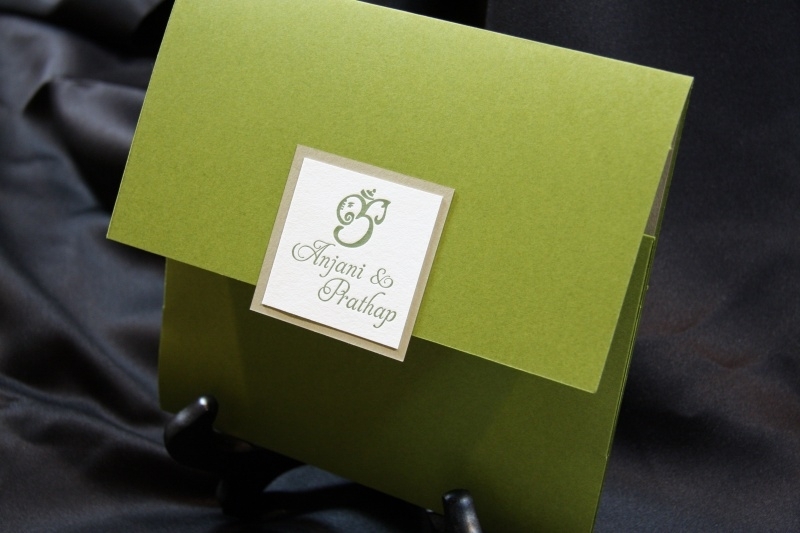 We had a ton of fun making these vibrant green letterpress wedding invitations for Anjani & Prathap’s Dallas wedding! 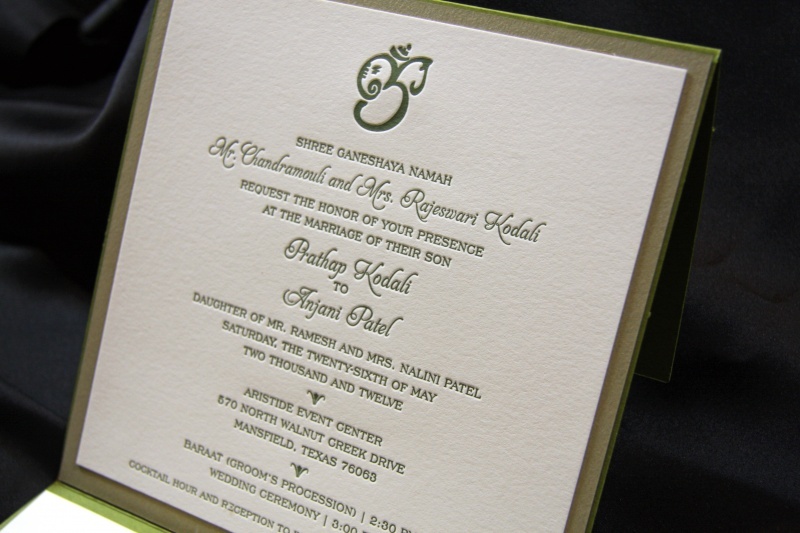 This letterpress wedding invitation was made using warm green ink on a cream paper, and then was placed onto a shiny golden duplex backing to really make it stand out. 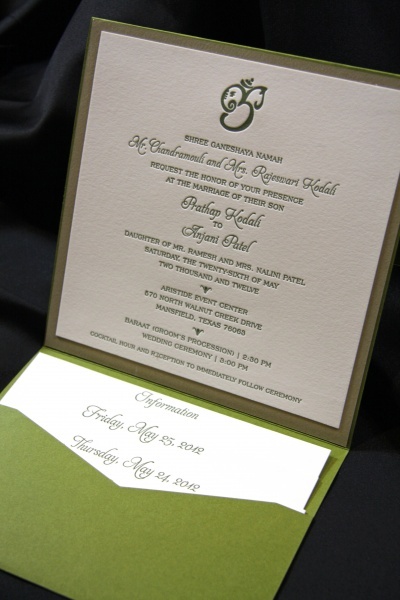 This was then placed onto a metallic green pocket folder which had a letterpress seal that contained a custom monogram with gold duplex backing.